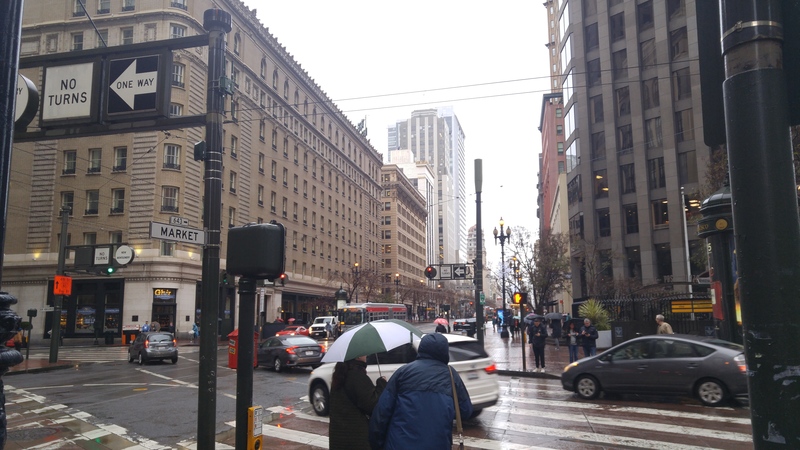 These are pictures of San Francisco, California that I took when visiting in late December 2018. 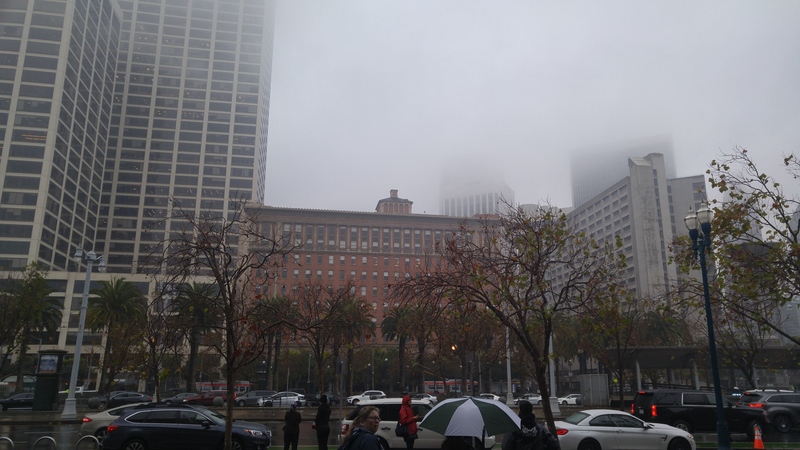 The pictures are of a multitude of places in the classic fog at night and during the day. 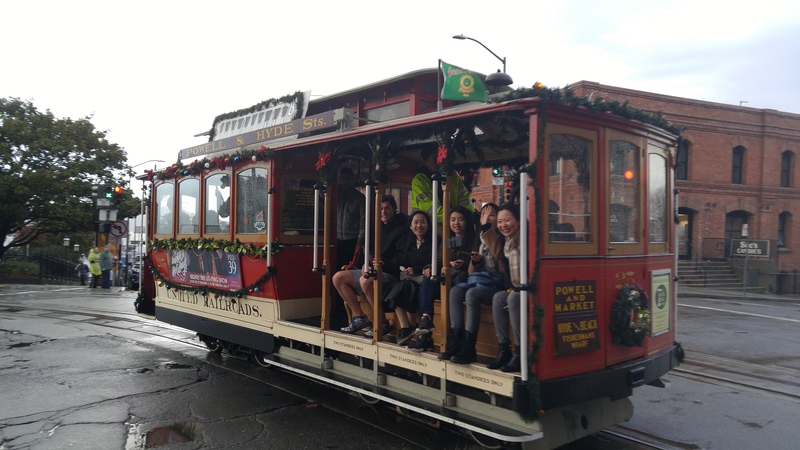 As a native Californian its so nice to see the state that I call home – even when I live on the East Coast. 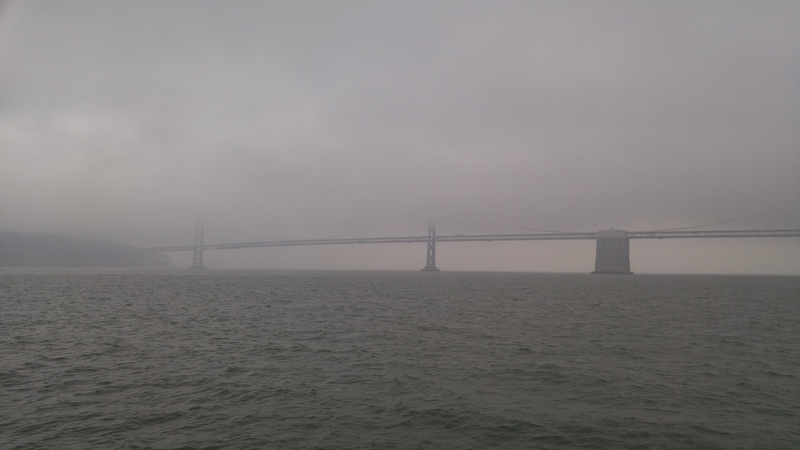 The Bay Bridge in the fog of the San Francisco Bay. 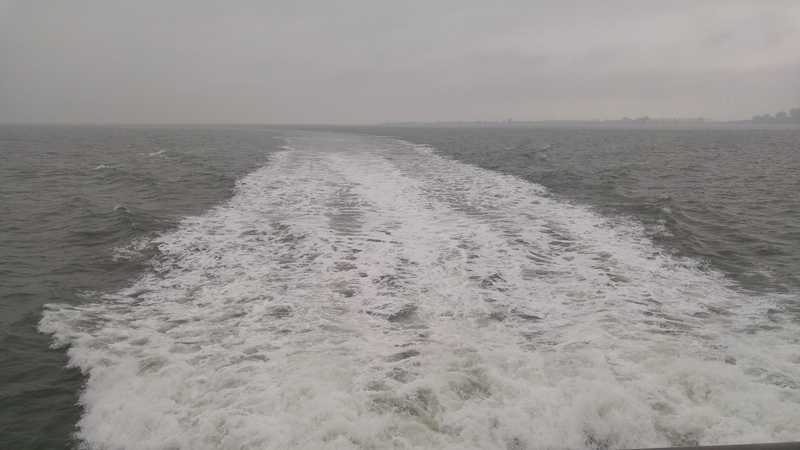 Crossing the Bay on the back of a ferry. 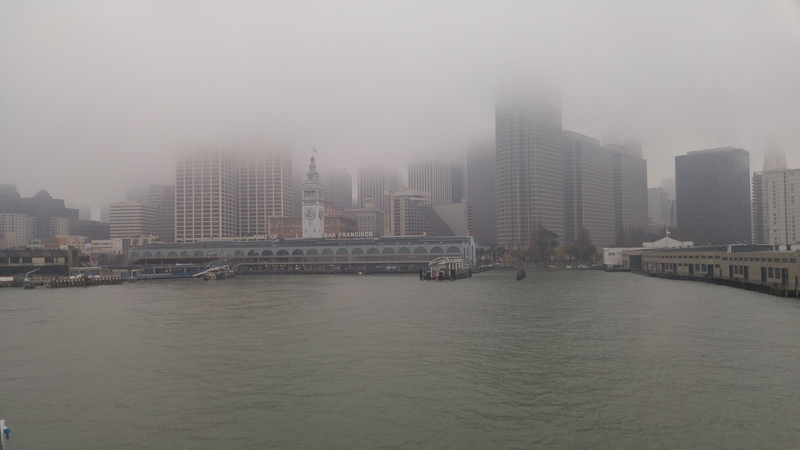 San Francisco Bay Ferry Terminal Building with the city skyline covered in fog. 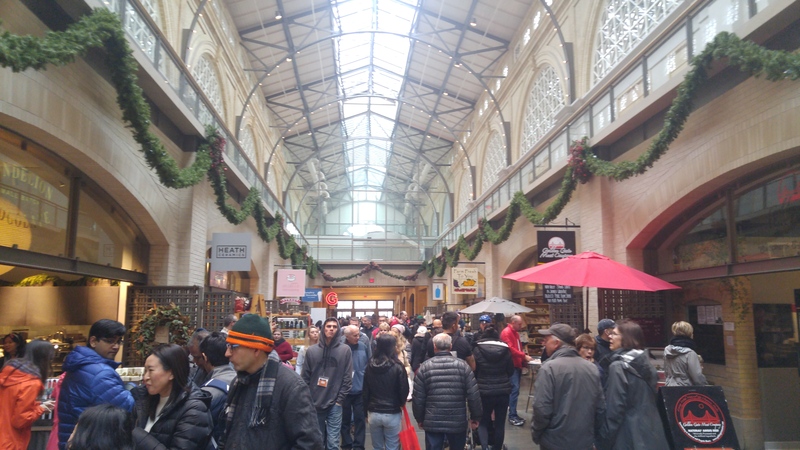 Inside the Terminal Ferry Building different shops and venders. 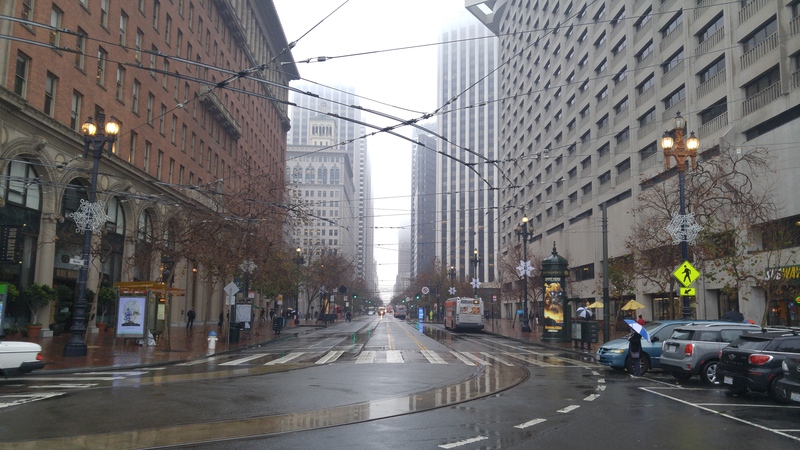 Downtown San Francisco as you come from the ferry building. 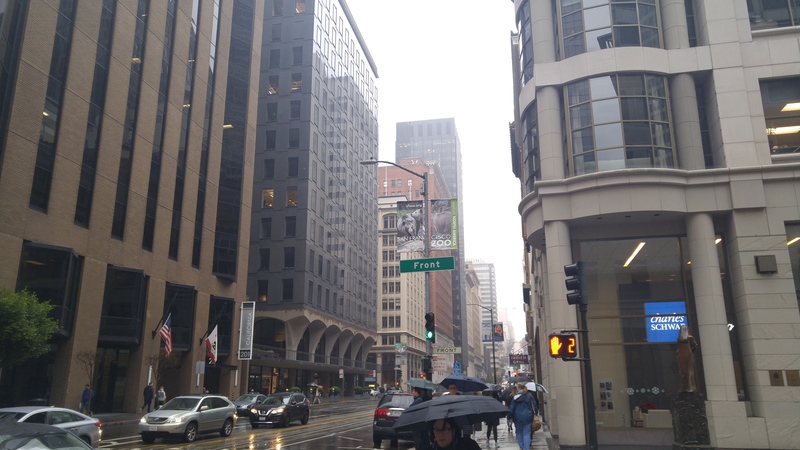 Downtown in a drizzling rain. 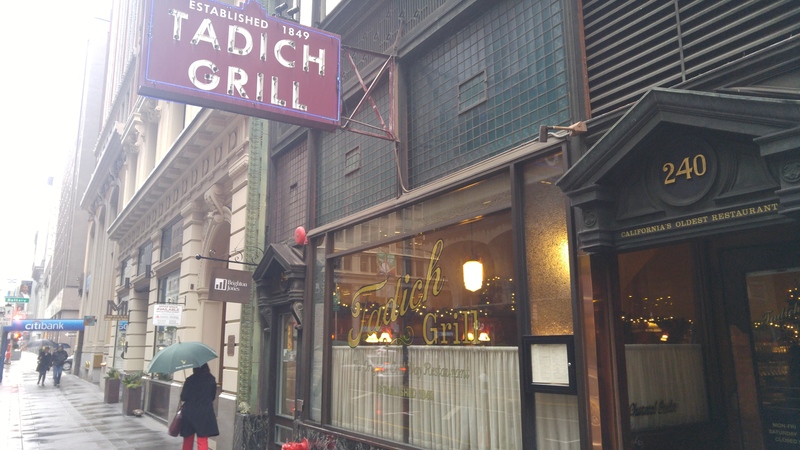 Tadich Grill, this San Francisco institution traces its history back to the California Gold Rush. Its the oldest operating restaurant in California. 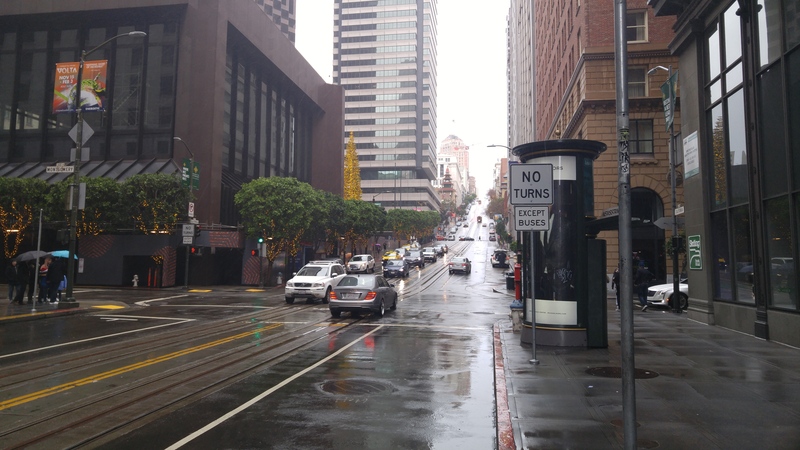 I think this is California Avenue, you can see the cable cars on the hill. 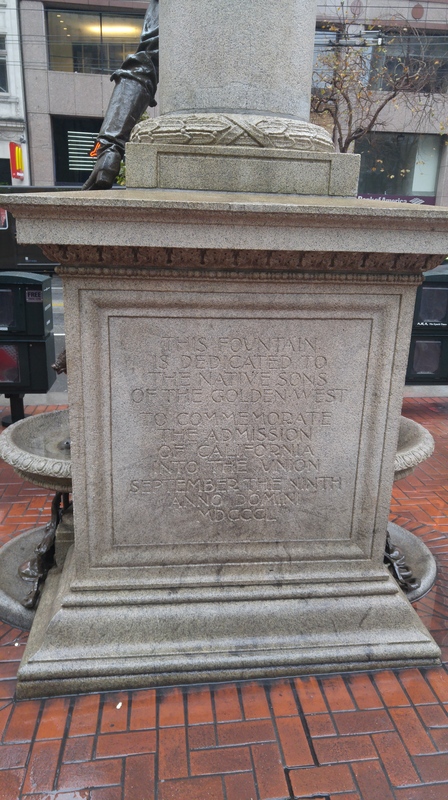 Carving into a monument commemorating California becoming a part of the United States. 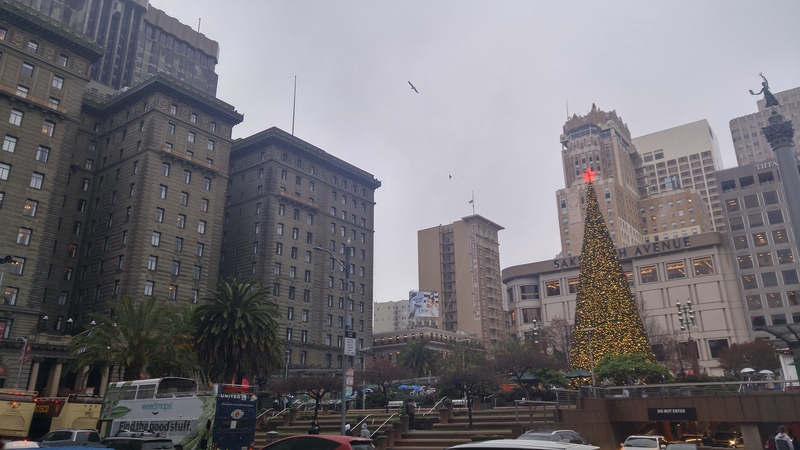 Christmas time at Union Square in San Francisco. St. Francis Westin Hotel in San Francisco on Union Square. 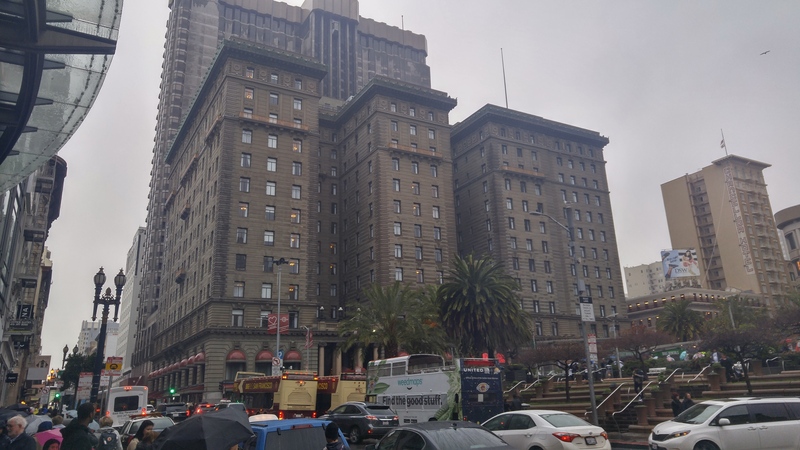 This hotel survived the 1906 earthquake. This is the same hotel where the Roscoe “Fatty” Arbuckle scandal happened in 1921. 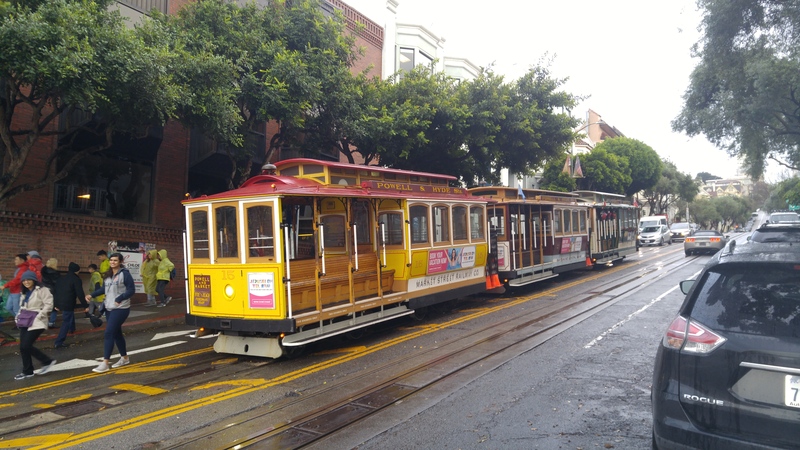 The San Francisco Cable car. The two tallest skyscrapers seen from a distance. 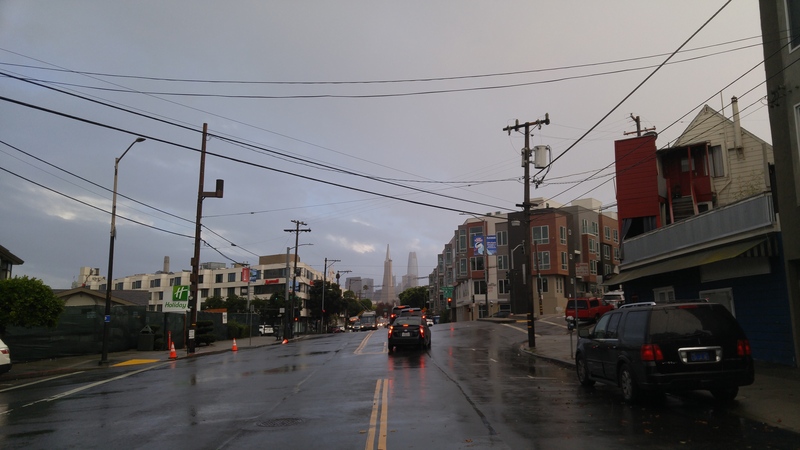 The Trans-America Pyramid and the Salesforce Tower. 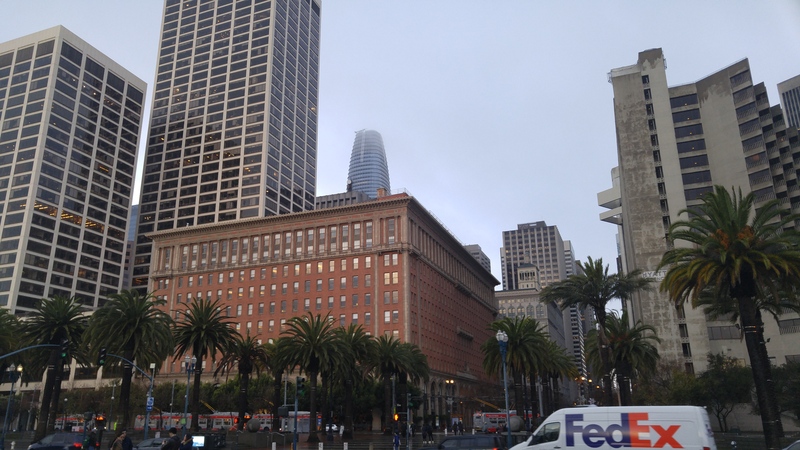 City picture that is clear, no fog taken from the base of the San Francisco Ferry Terminal building. 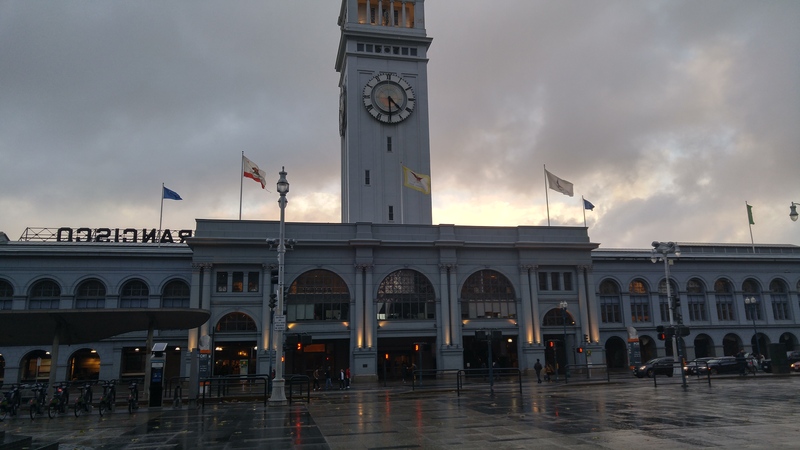 San Francisco Ferry Terminal Building. 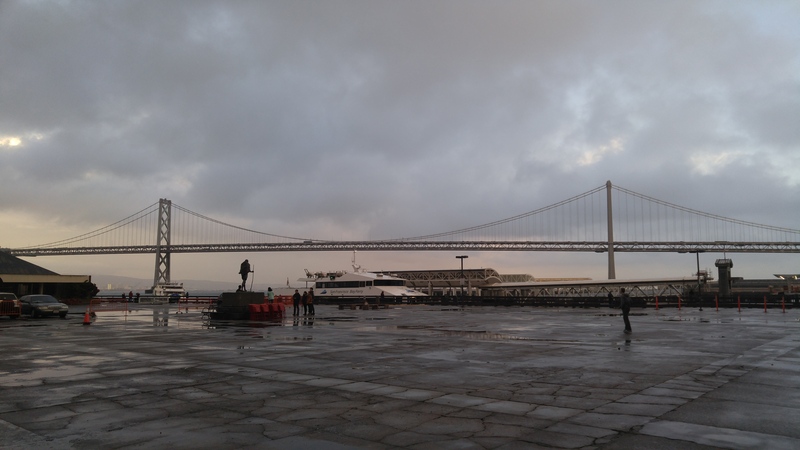 The San Francisco Bay Bridge. 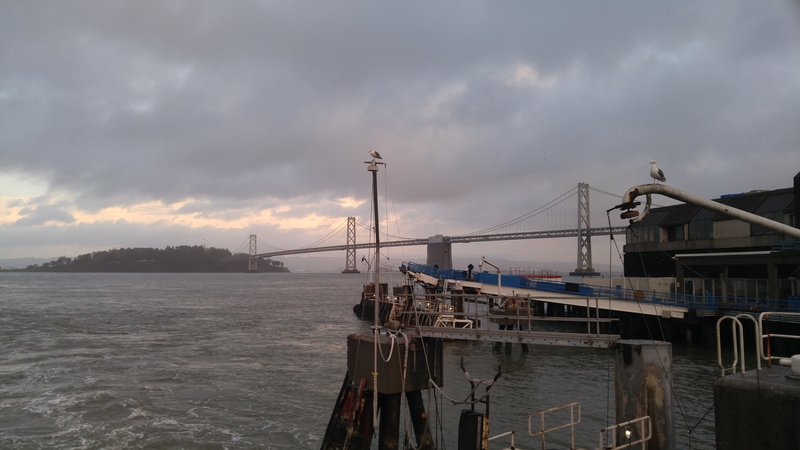 Another picture of the San Francisco Bay Bridge giving you perspective as to how long it is. Its about 8 miles long and contains multiple sections. 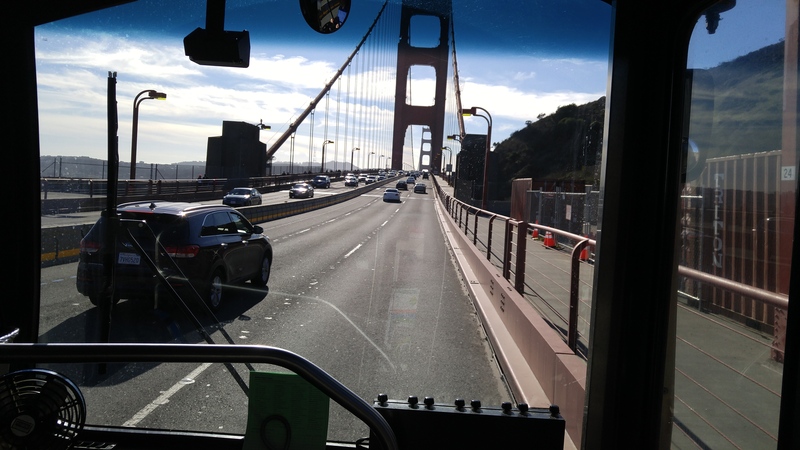 Crossing the Golden Gate Bridge by bus. 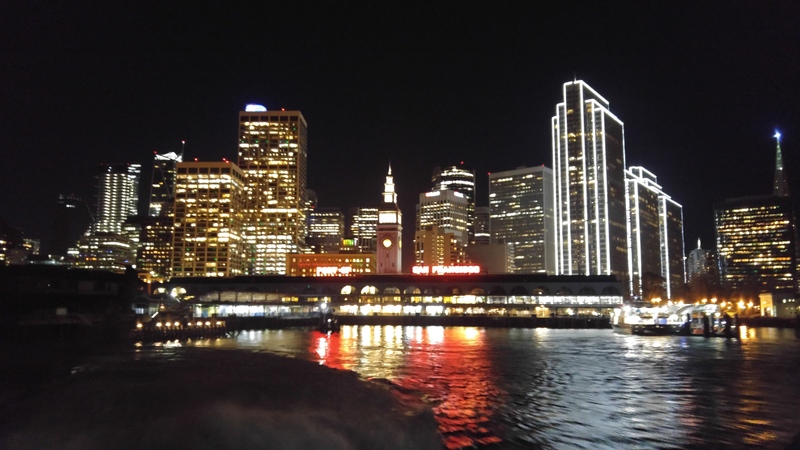 San Francisco at night as taken from the back of the Lark Ferry. 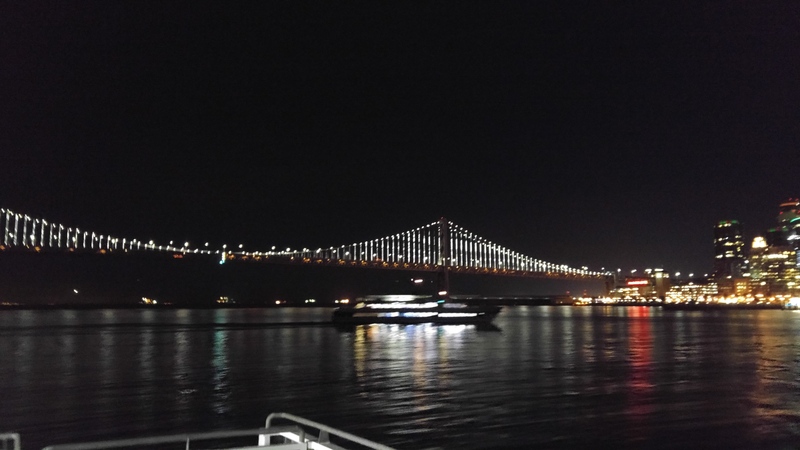 San Francisco Bay Bridge at night. Thanks for the great pics of my home town!